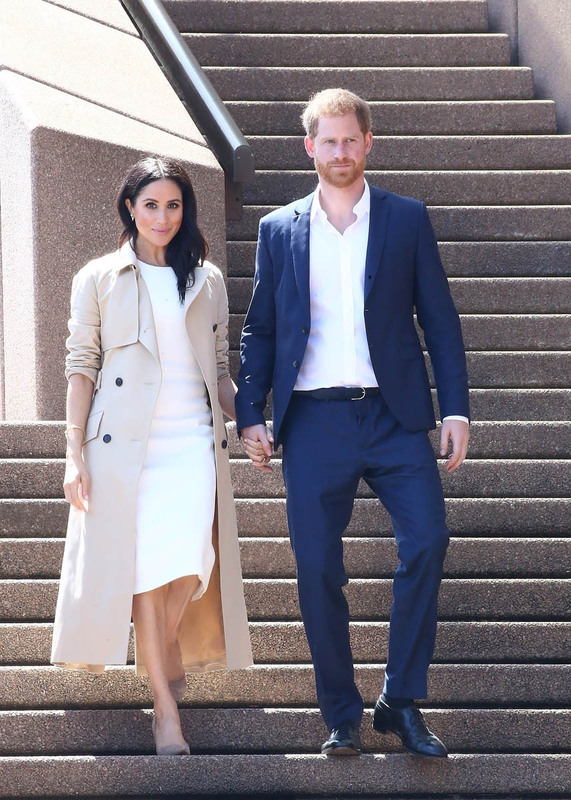 By now we’ve seen that Prince Harry and Meghan Markle have developed their own style. 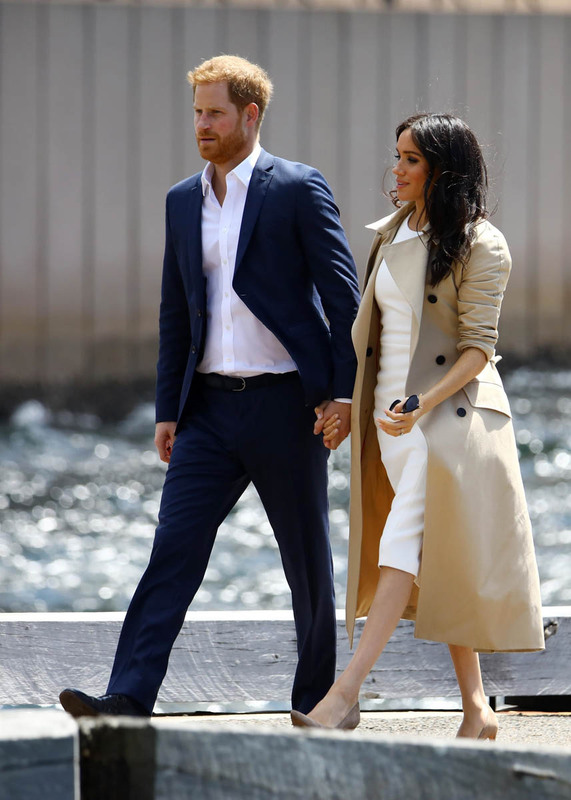 From the very beginning, at their “public debut” a year ago in Toronto at the Invictus Games, when they arrived hand in hand, they’ve always been the most tactile royals. 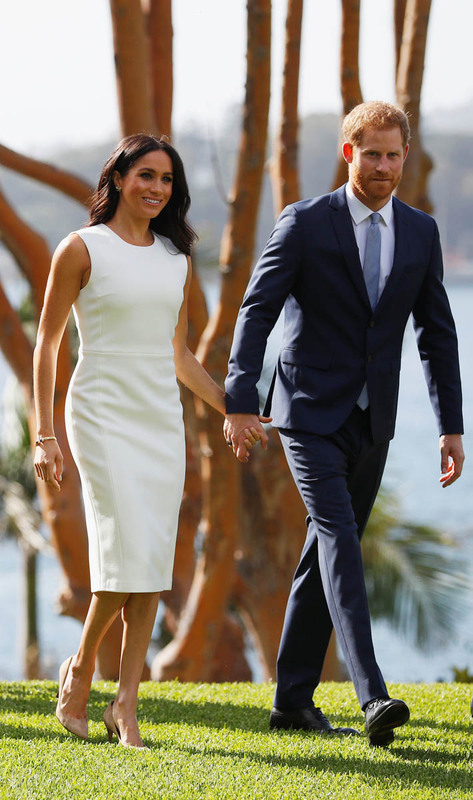 And they didn’t dial it down, not after they announced their engagement two months later, not as they began to work together and rep the family on official engagements, not at the wedding when they sat with their hands linked on his thigh in St George’s Chapel, in the presence of the Queen, and definitely not now on their first major tour abroad. 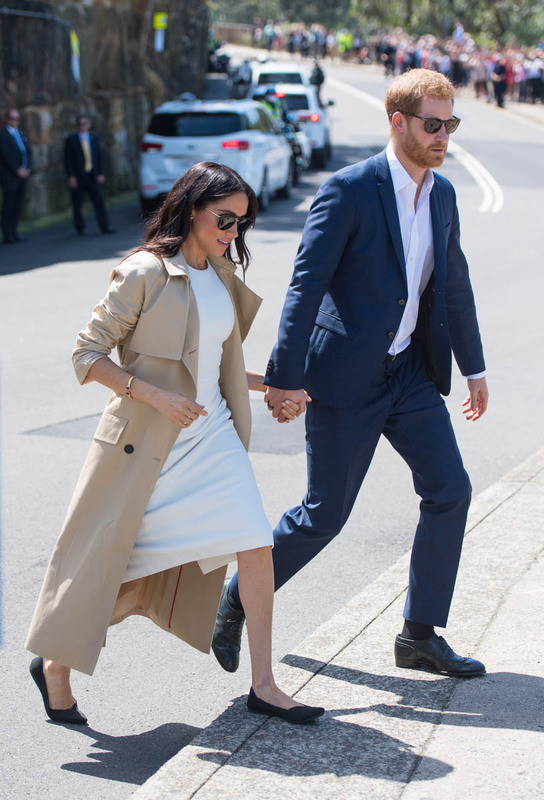 By now, please, they must know that it’s talked about, written about, that it’s referred to as a “signature”, the “signature Sussex PDA”. 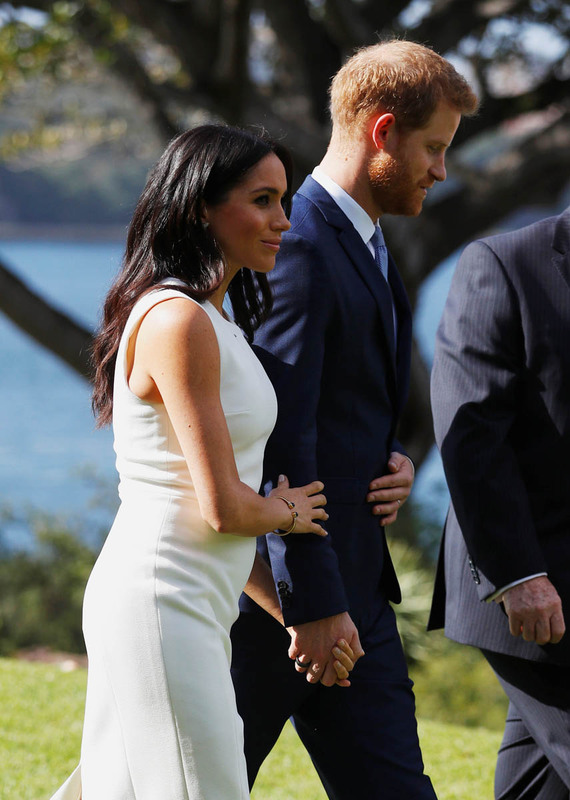 Not that I mean to make it sound like it’s a card trick or anything. 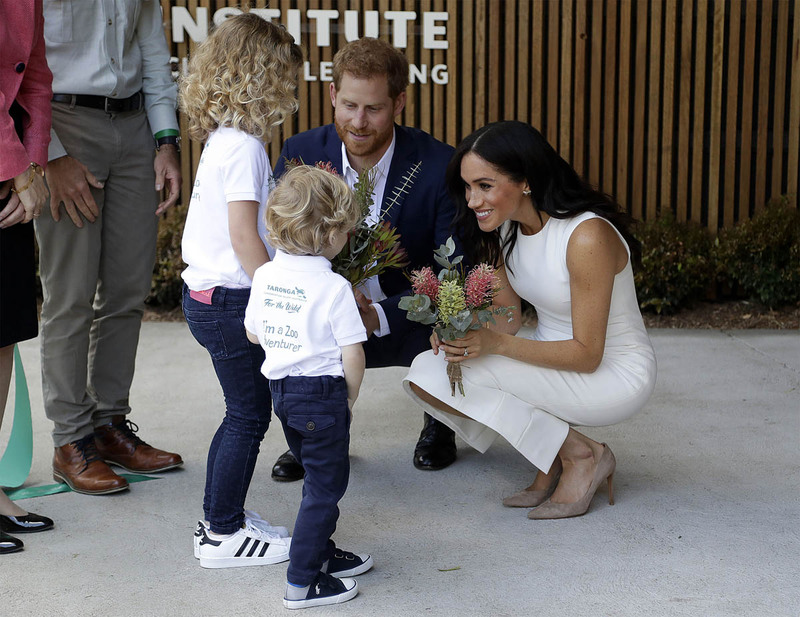 But here, in Australia, when their job is to draw as much positive press around their visit and the Invictus Games as possible, they know what the people want, and they’re giving the people what they want. 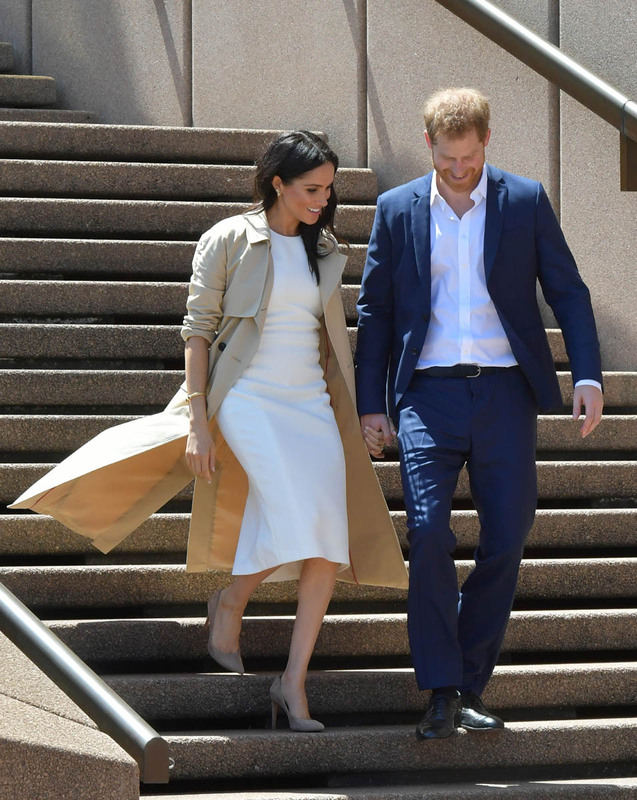 They’re also, obviously, totally blissed out. 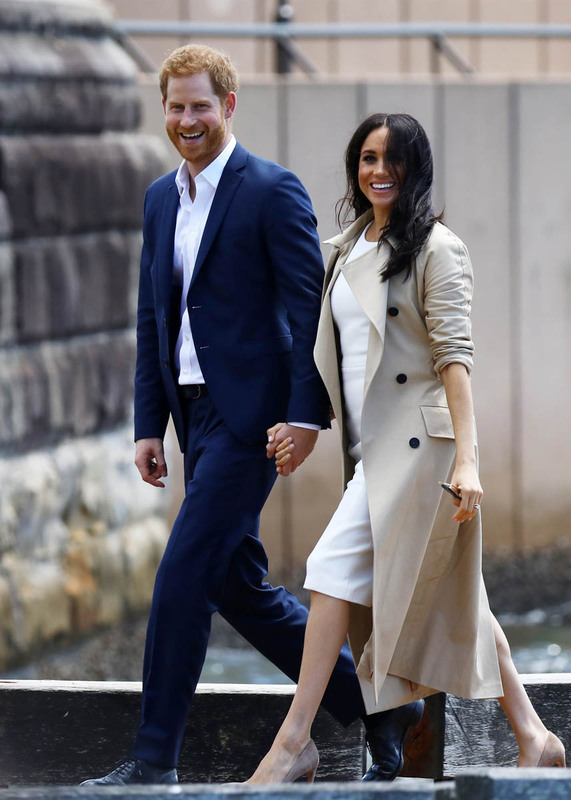 Like these two are still on their honeymoon. 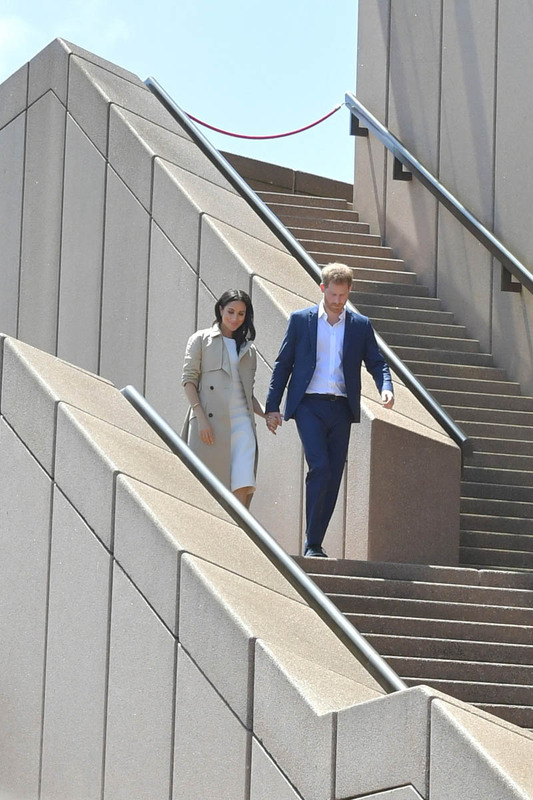 And they’re pregnant already. 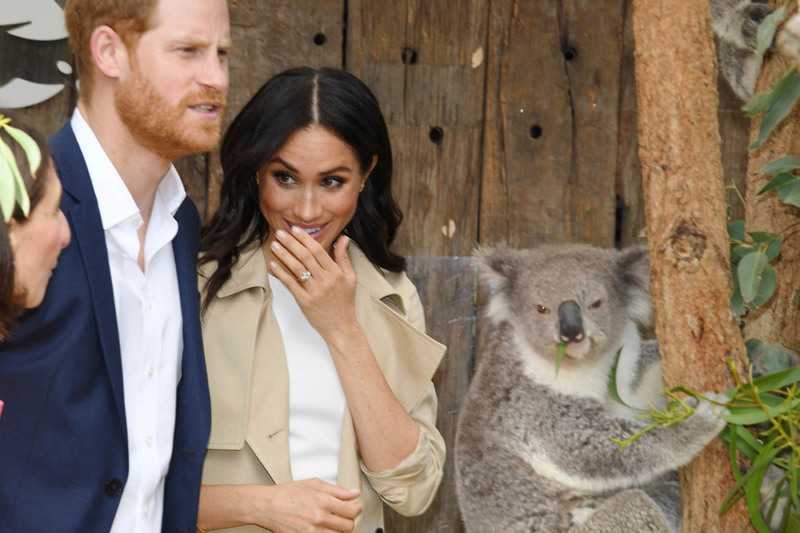 You almost couldn’t script it any better. 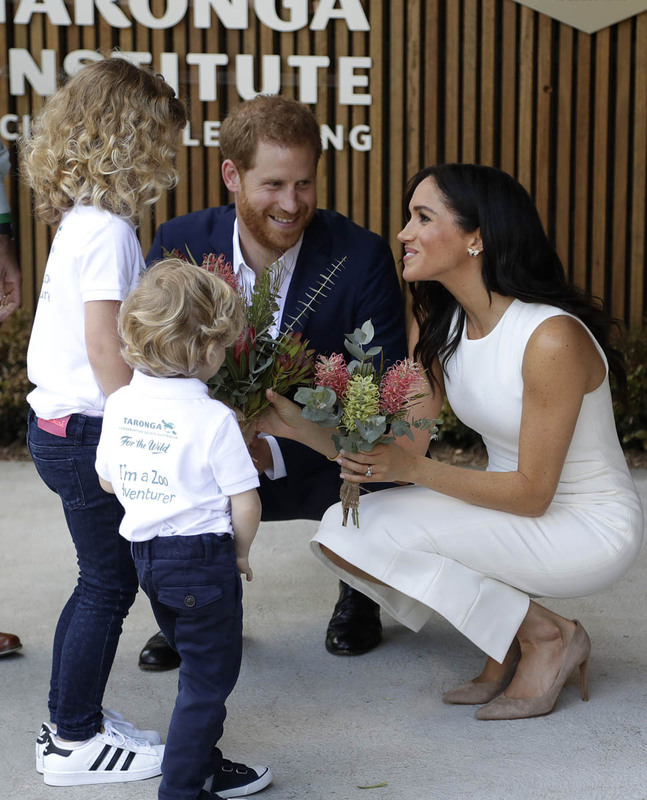 Major royal bonus points, capping off what’s already been a grand year for Her Majesty: two weddings, two great-grandchildren, and another great-grandchild on the way, and autumn’s just begun. 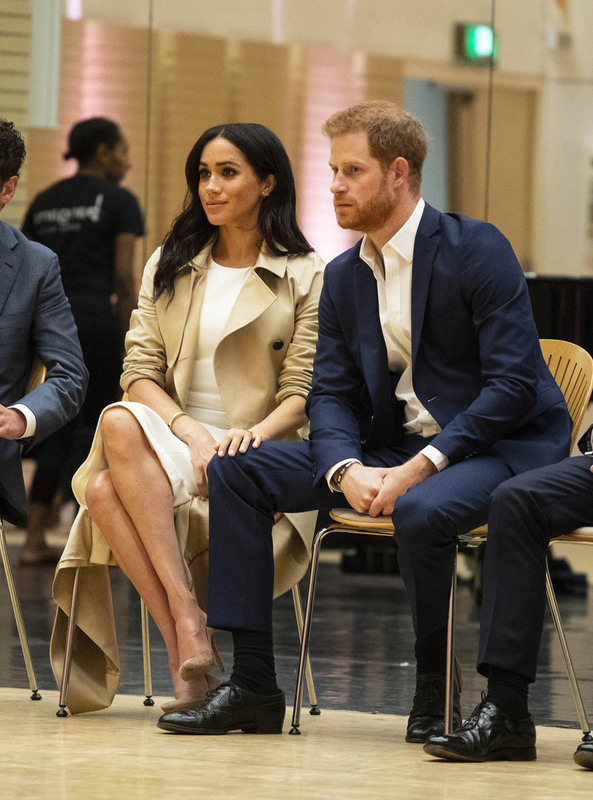 For all the pearl-clutching by the old-timey f-cks then, the young generation of royal representatives have done their jobs. 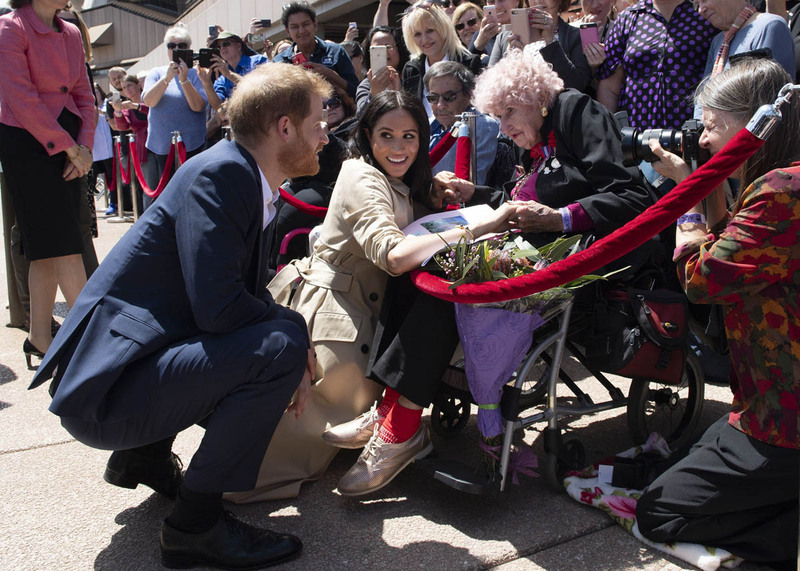 The monarchy certainly doesn’t seem fragile right now, and certainly not by how Harry and Royal Meghan were greeted yesterday. 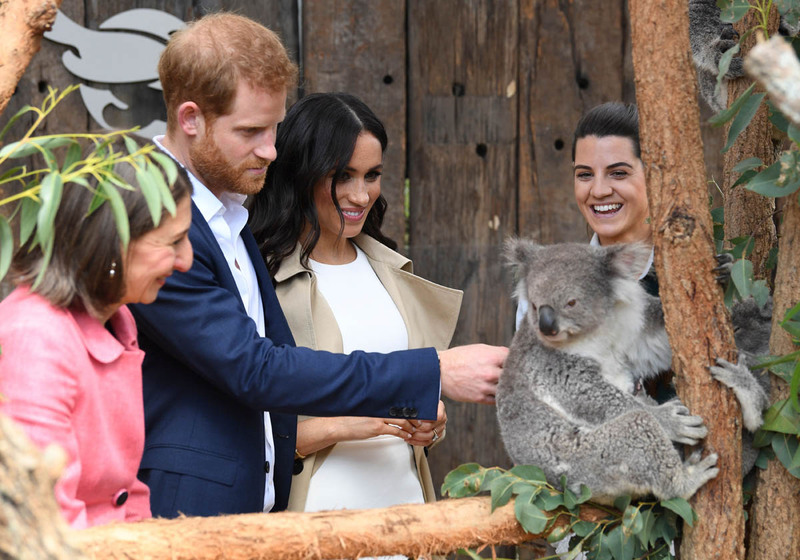 They went to the zoo. 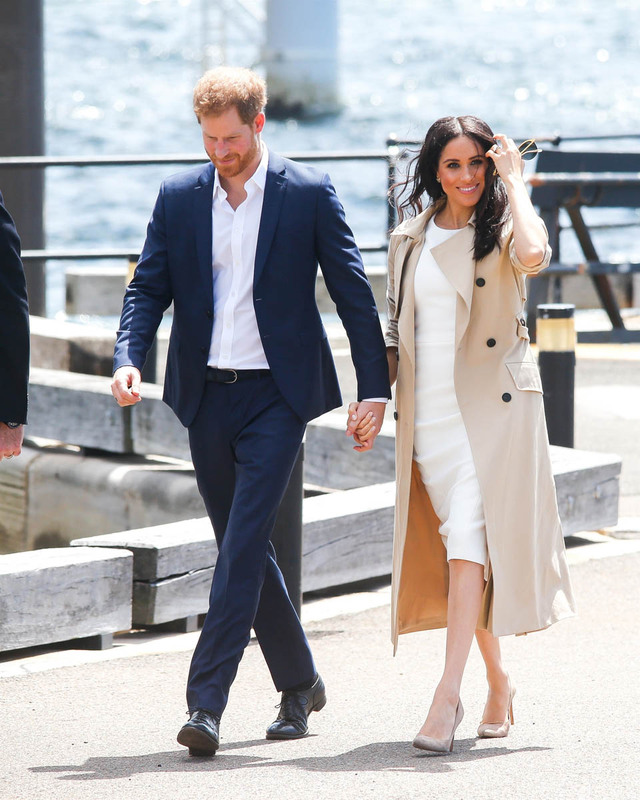 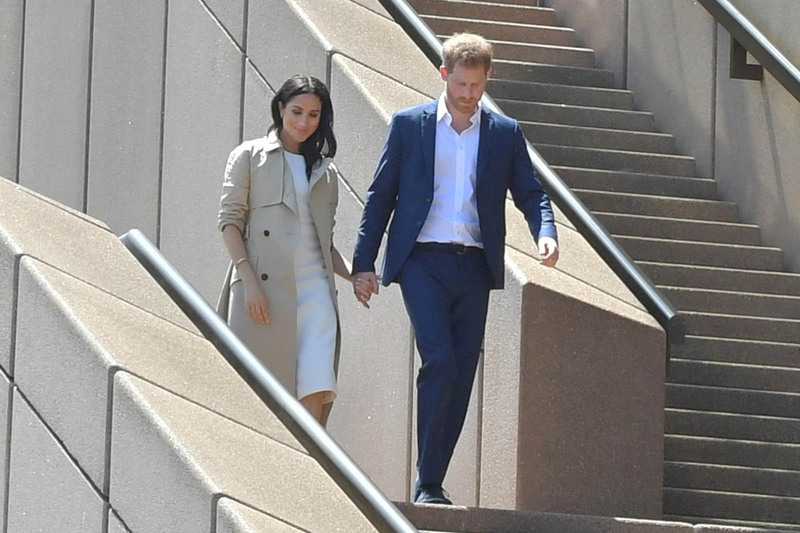 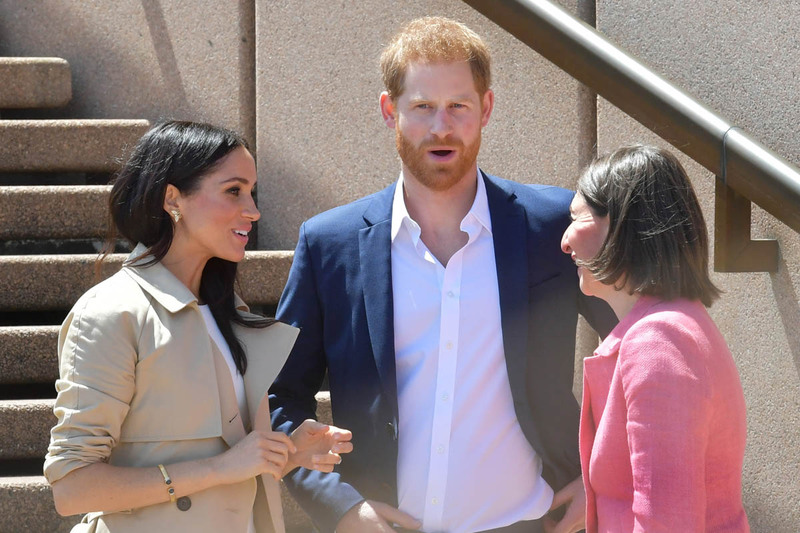 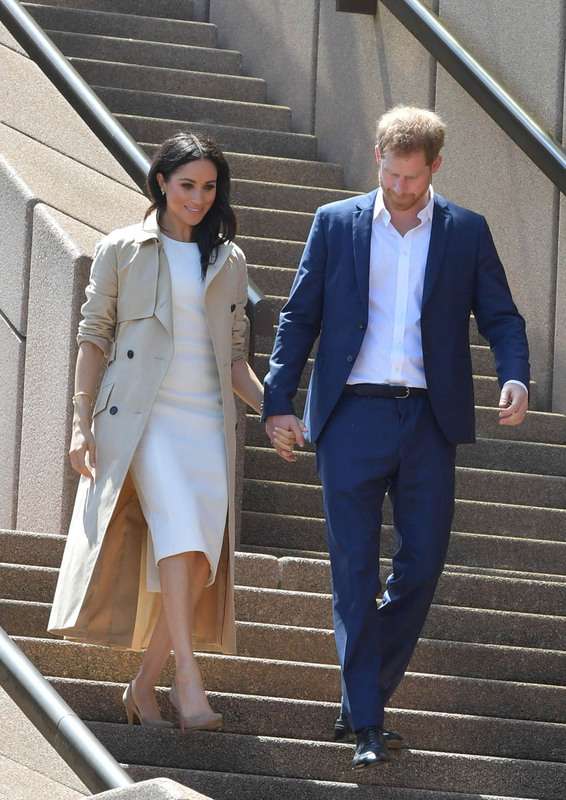 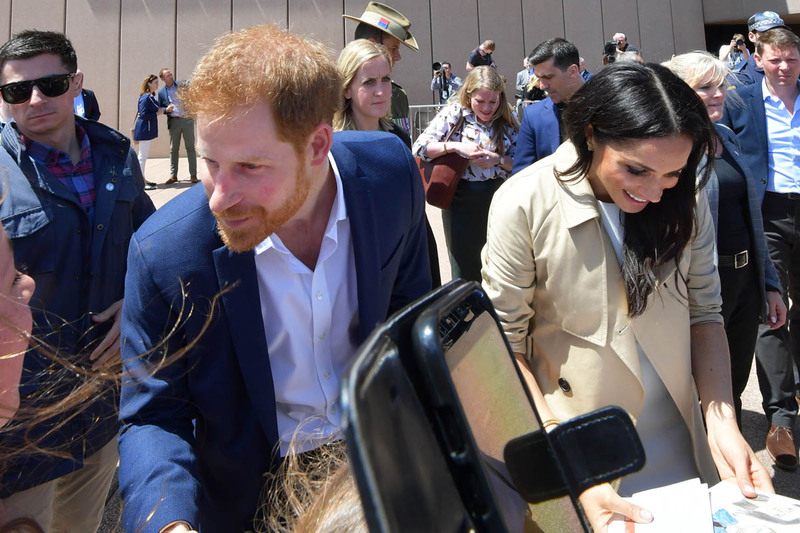 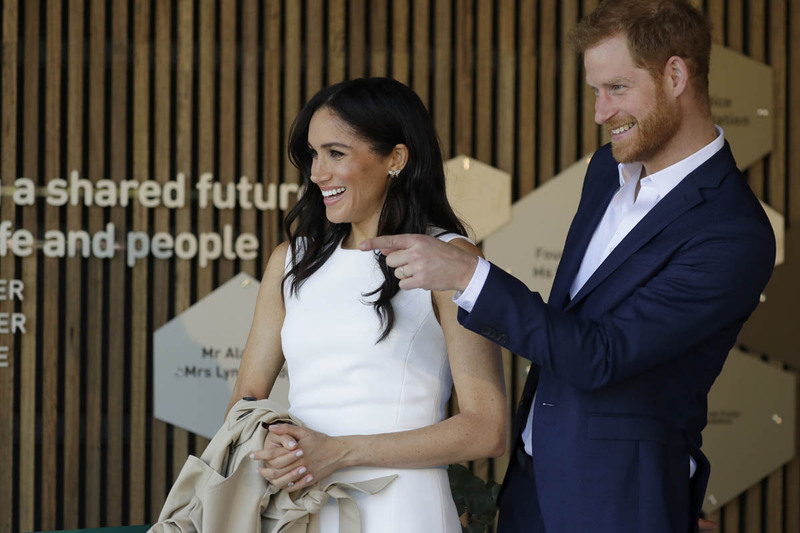 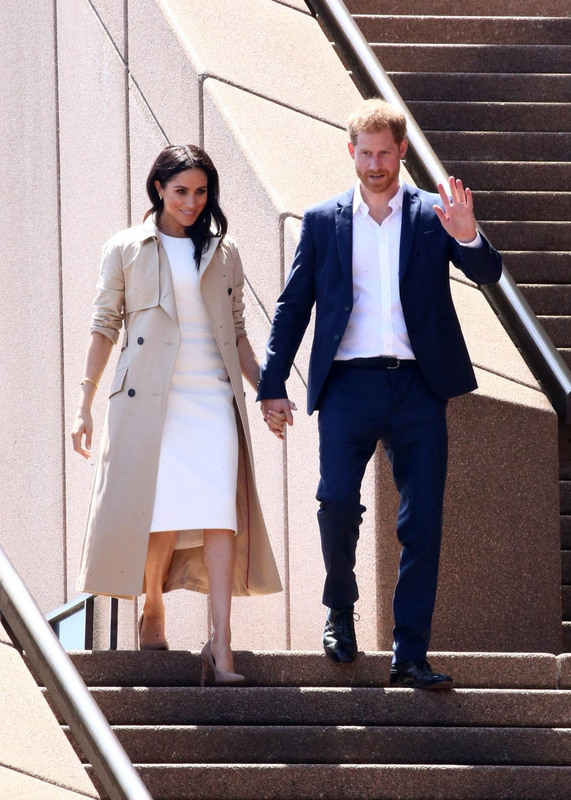 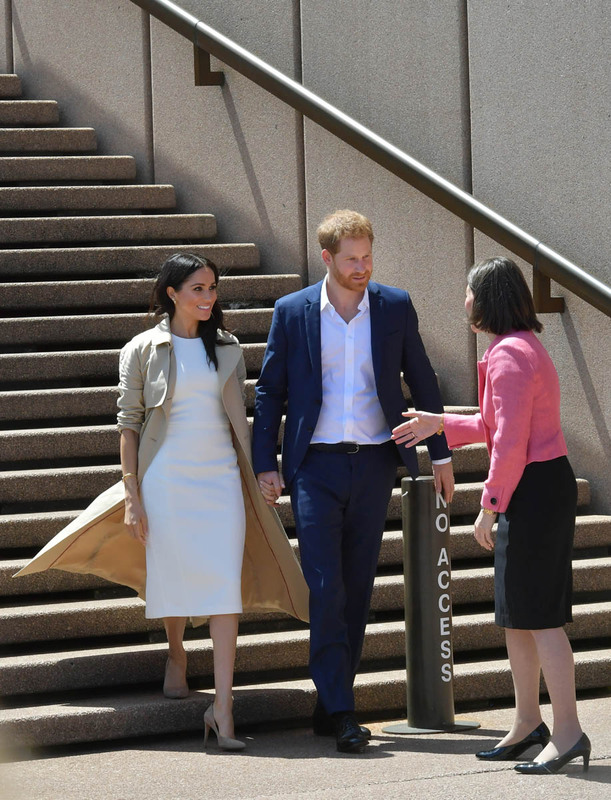 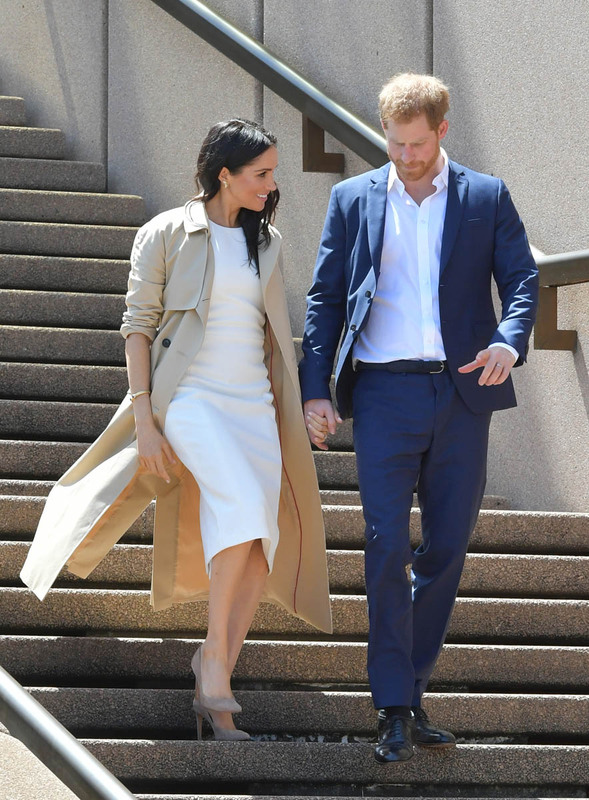 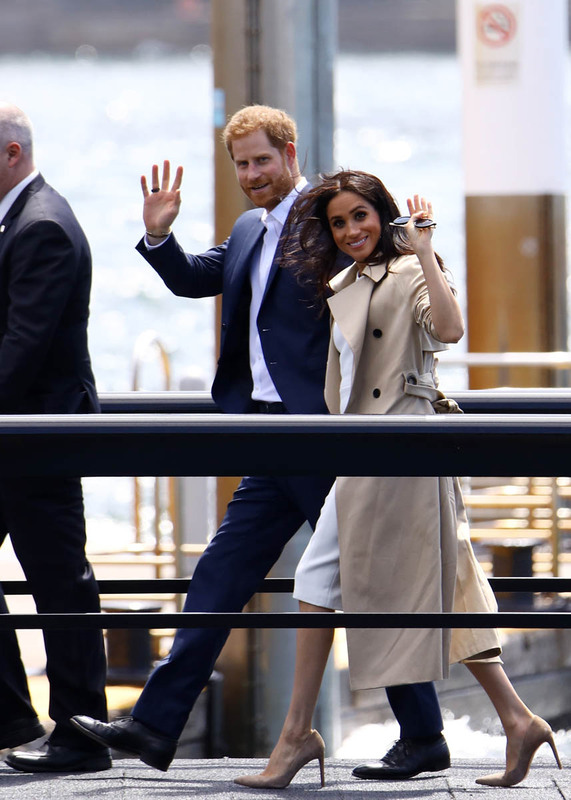 They sat in on a rehearsal at the Bangarra Dance Theatre at the Sydney Opera House where Meghan had her hand on Harry’s leg. 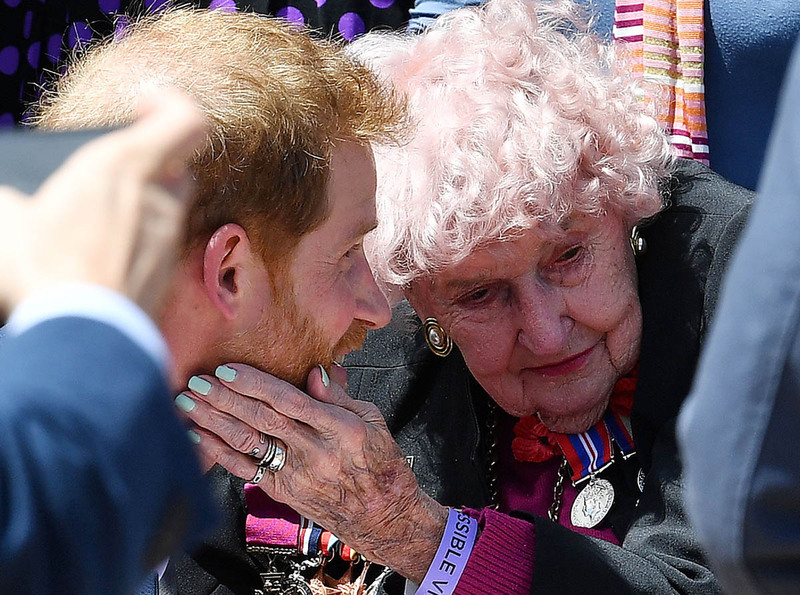 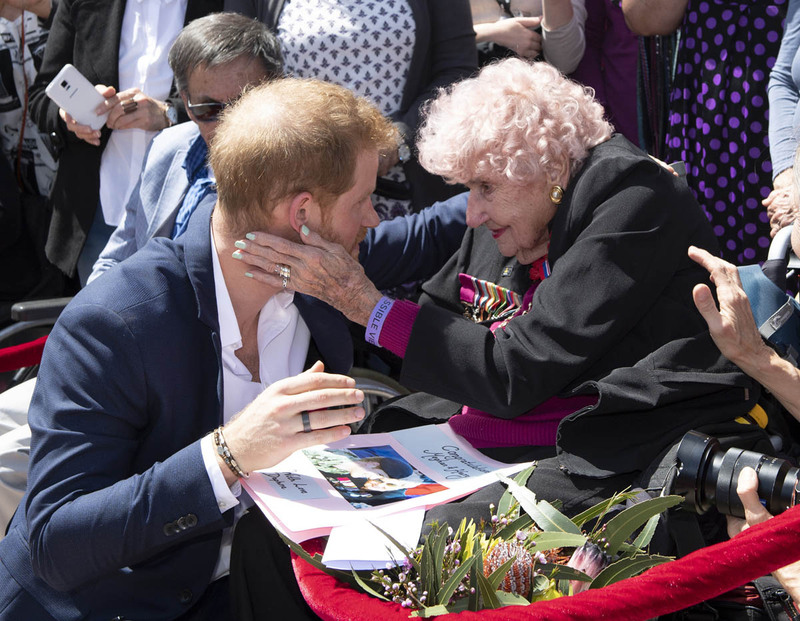 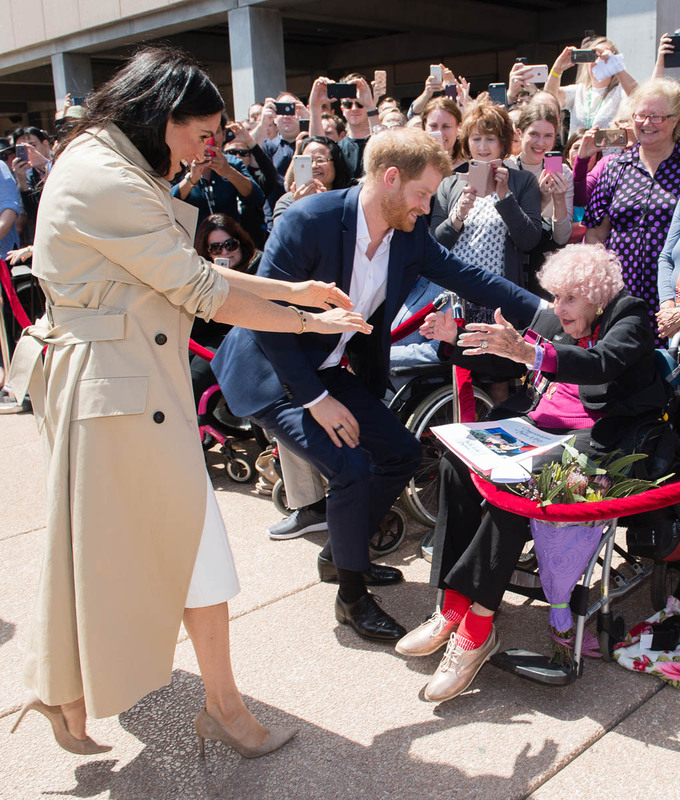 They held hands during the walkabout and met with war widow Daphne Dunne, Harry’s 98-year-old “Australian girlfriend”. 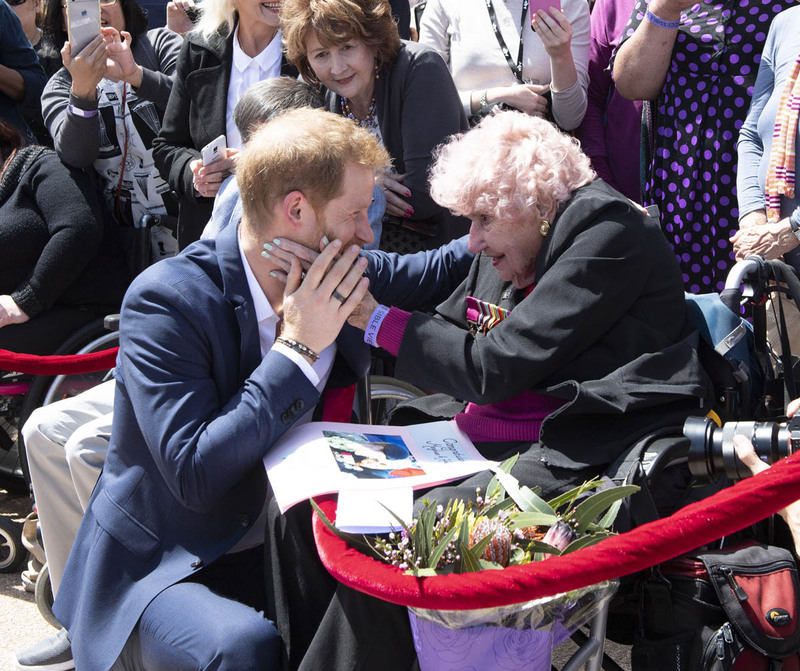 This is the third time Daphne’s had the chance to see her favourite prince. 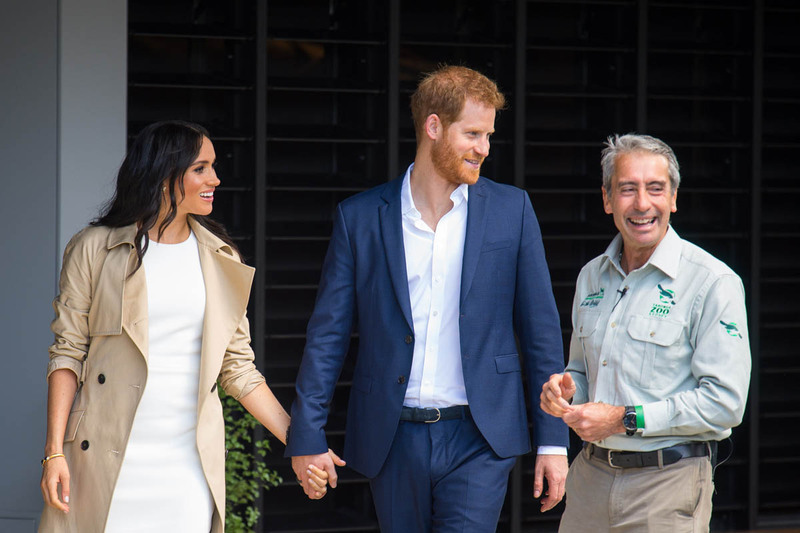 He was looking for her, gave her a huge hug, let her caress his face and kiss him (Daphne’s got moves! 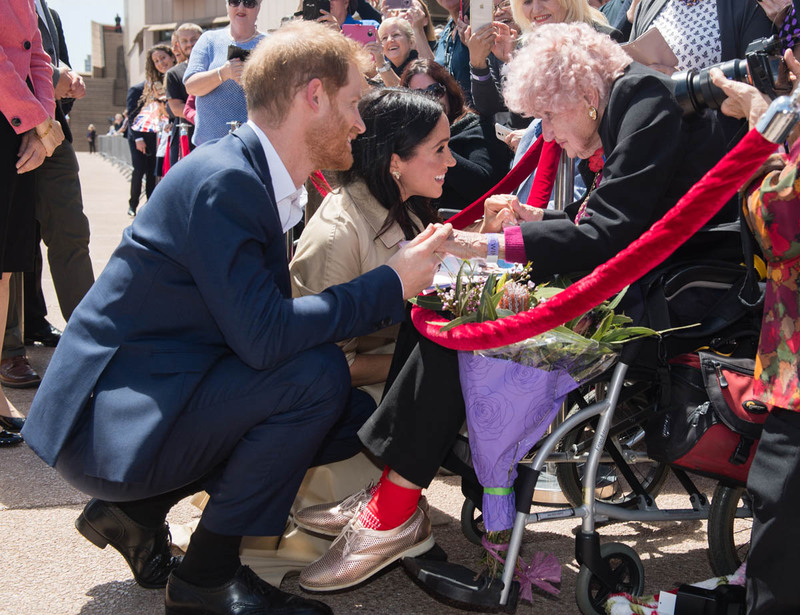 ), and introduced her to his wife. 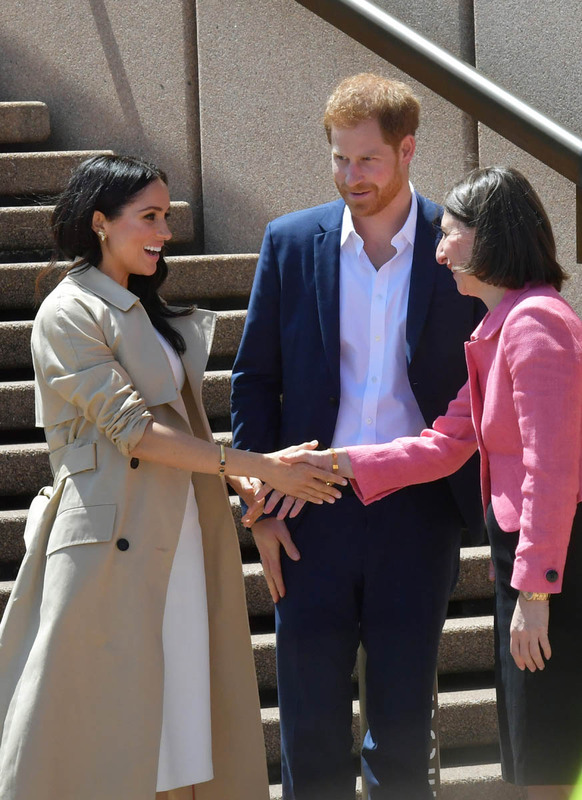 As you can see, no one was more delighted and given more time than Ms Daphne, who was promised a return visit, hopefully next time with “our little one”. 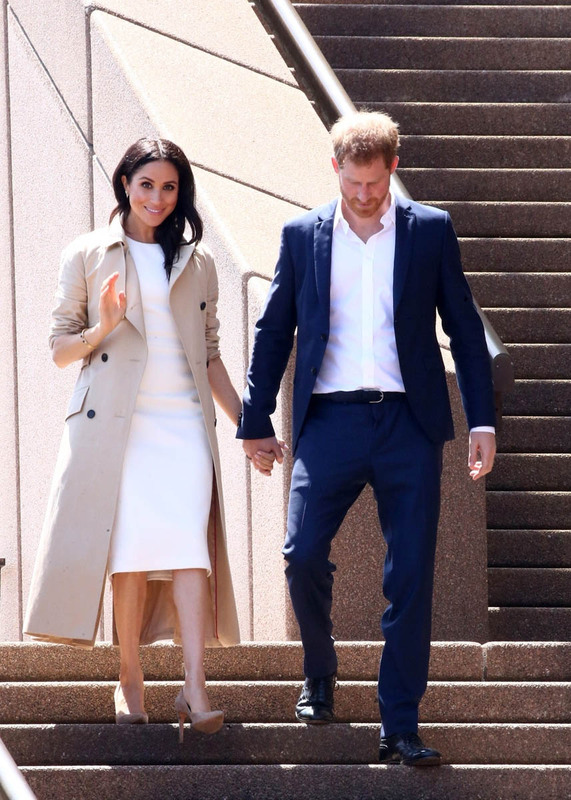 More on Harry and Meghan in the next post.